Organic traffic is not something which can be achieved in a flash, it requires both your time and effort. The word ‘organic’ has gained gravity in the recent times. Just like organic food which is free from artificial additives, organic traffic is free from any artificial paid services for traffic generation. In simple words, the traffic that comes to your site as a result of unpaid search results is organic. Who doesn’t want more and more people to visit his website? Everyone loves attention! But how should one go about it? This is a roadblock for every business owner, as he finds himself limited within a sphere and fails to go past that sphere even after spending huge sum of money. Traffic is the prime source for customer acquisition; so before introspecting about acquisitions, think how you can draw more traffic that eventually helps to generate more profits. Organic traffic is not something which can be achieved in a flash, it requires both your time and effort. Here, in this blog, you can read about ways to grow organic website traffic in lesser time. Try it out, it works! Quality always wins over quality. Same goes for content, don’t create content just for the heck of it and because someone told you that publishing content frequently is a good SEO practice. Writing humdrum and irrelevant won’t get you anywhere. Actually, it may even dent your reputation and harm your business. Your website represents your business online and putting put anything below standard or low in quality can have a bad impression on a potential customer. Just as you won’t buy a poor product or service, similarly you won’t be reading low quality content. Try to be your ultimate best at whatever you write and publish, to magnetize traffic to your website. Love to stay in the limelight? Then keep serving something fresh for your audience. Create crisp blogs and publish something fresh every 2-3 days. Hold on, don’t loose yourself in the race of publishing and start to publish any type of content. Miracles don’t happen all the time! Anticipate well before you select a topic and think of titles which catch the eye. Content that does not offer something thought-provoking doesn’t appeal to the reader. Always plan before you sit down to write. 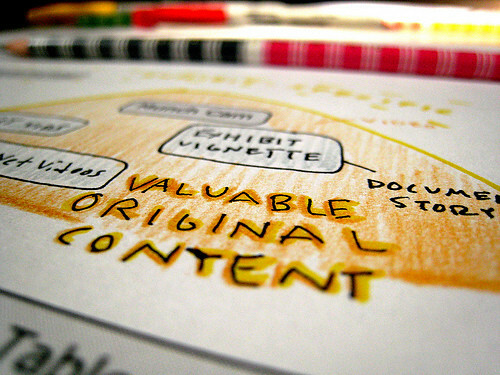 Content that makes sense to the audience all the while being engaging will help to shoot up your traffic. Every business requires an effective social media marketing strategy to step up its organic traffic. A powerful social presence is a prerequisite to customer acquisitions. If the social media campaigns are handled correctly, then you might generate a lot of organic traffic and conversions. The most important part of going social is to make your presence felt on the different social sites, such as the Facebook, Twitter, LinkedIn, You Tube, among others. People throng these social media channels on a daily basis, and being available socially can help divert a lot of organic traffic to your business. Don’t lag behind, go social! Keywords remain an important part for attracting organic traffic to your site as Google categorizes content based on the keywords used. You need to find the right keywords so that people can locate your content. It doesn’t matter how excellently you have written or presented content, without target keywords your content won’t be found on search engines. You can take help from Google’s Keyword Tool to do your keyword research or hire an SEO expert, but you must create your content base on the target keywords. Why your digital marketing strategy fails? Most Common MOBILE Web Design Mistakes You Ought To Avoid!